Suryalakshmi Cotton manufactures specialized, high-performance cotton, polyester and blended yarns for exports, local markets and for its denim business. Our R&D focus and in-depth knowledge of raw materials enables us to create super specialty and functional yarns with optimized properties. At Suryalakshmi Cotton, we produce yarn using state-of-the-art technology and world-class machinery from top-notch suppliers globally. With a focus on modernization and automation, we leverage our world-class R&D facilities to study the emerging trends in yarn technology and fashion. This enables us to keep pace with changing market trends and achieve benchmark quality standards that meet every requirement in the denim value chain. Our dedicated team of quality personnel ensures that every length of yarn that rolls out of our manufacturing units meets international quality standards, achieving quality levels of Uster 5%. Our emphasis on quality control at every stage of manufacturing ensures a superior finish of yarn products. With a commitment to the Better Cotton Initiative (BCI), we source cotton that is grown to social and environmental standards set by this multi-stakeholder initiative.We also source organic cotton as per customer requirements. Currently, we source nearly 20% of our total cotton requirements under the BCI Cotton initiatives. This supports our endeavour to make our products more sustainable. We source other raw materials from government certified mandis to ensure fair price and fair practices. We ensure our suppliers do not use child labour, banned / harmful chemicals and pesticides, etc. and help us source materials responsibly. We have an ultra-modern spinning unit for polyester cotton and synthetic yarn at Amanagallu (Telangana) with a capacity of 61,000 spindles. We produce value-added and fancy yarns such as Ring, Open End, Core Spun, Slub and Compact yarns at our plant in Ramtek (Nagpur, Maharashtra) with a capacity of 12,000 spindles and 2,500 rotors and Amravati (Maharashtra) with a capacity of 26000 spindles. 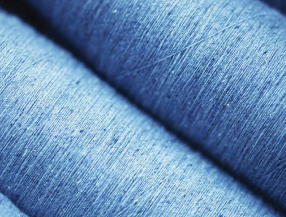 These yarns are specially used for denim fabric manufacturing. Our spinning operations are supported by state-of-the-art machinery, such as Amsler Slub from Switzerland, Core Spun from Germany, Eli Twist for Compact from Germany. Current capacity of 87,000 spindles.